First day back in the office today after my two week holiday travelling around Spain and I could actually do with another two weeks to recover. I’m awfully tired and slow today which my colleagues will vouch for! It seems to have been a very busy two weeks for Team Tactics while I have been away, lots of enquiries have been coming in which is great. The next month is a very busy month for us with hospitality at major sporting and cultural events like; Henley Royal Regatta, Henley Festival, Cartier Polo, Glorious Goodwood and not to mention Wimbledon which started today with Florent Serra and Phillip Kohlschreiber. 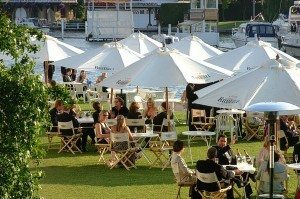 We still have availability for hospitality at Henley Royal Regatta and hospitality at Henley Festival , please contact us if you would like to check availability. We also have a number of clients booking our teambuilding events for the next few months from Corporate Cooking and Circus Skill Workshops to Robot Wars and Back to School Sports Days. Please contact us if you are looking for a participative team building event. If you’re are looking for some summer fun and would like something a bit different to your usual summer party, however large or small your group please let us know as we would love to help you arrange this. Have a lovely week and enjoy the sunshine! The Festival of The Year is Nearly Here!